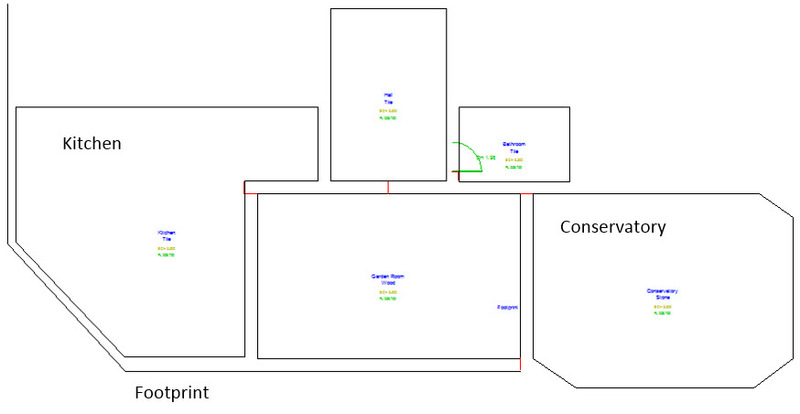 Scenario: We are going to open up an existing file of Soldridge Manor and add the following Irregular Shaped Rooms, to it, the Kitchen, conservatory and make a start on the footprint. Each of these will use different tools to enter in the irregular shaped room. 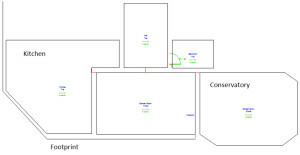 A path to the start point of the kitchen and conservatory could be defined from a symbol or another room, but the rooms could also be started from an Arbitrary Point and the once the room is computed moved into position against the rest of the survey, this is the option used in these lessons and lesson 5 explains how to move the room measured from an arbitrary point to a measured point in the survey.